It’s a new year, so everyone has their own new personal goals. Some may want to lose weight, others want to get richer. There are those who just want to be happy, and those who hold the same goals they made in 2011. But for Tomasi Salu, from the village of Malie, the only goal he has is to try and make his family as happy as possible. He wants to work hard and make sure his family’s lives are as comfortable as possible. “With 2017 just starting off, my goal is to be hard working,” Tomasi told the Village Voice. “I want to work hard so that my family will be blessed. That’s all I want right now. I want my parents, siblings and entire extended family to find happiness and I will do my part with that. 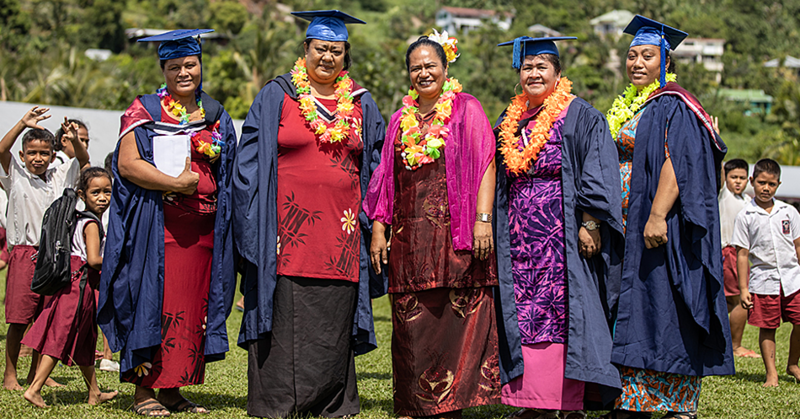 With many young people in Samoa not knowing the value of serving their family, Tomasi wants to urge the youth to obey and serve you parents well, for there you will receive blessings. And if you have a similar focus as Tomasi does, you will surely not go wrong. “Right now I want to focus on making this new year a blessed one for those I love,” he said. “With so many of the youth of our nation causing trouble along the roads and giving their families a bad name, I want to say to just stay obedient this year. “You always have different options, either you be productive or you be a nuisance. So listen to your parents and stay out of trouble. But other than that, Tomasi says that life in Samoa is simply great and that there is no other place he would want to call home than here. “There is no other home than Samoa for me,” he said. “Everything is just great in the Islands; we have enough to survive and we are a country full of blessings from God. “Samoa is all about taking care of the family and making sure that life goes by as smoothly and comfortable as we can possible make it. Tomasi is no stranger to hard work; he explains that he just got back from his plantation and the crops he grows helps his family a lot. “I just got back from the plantation,” he said. “I took my little brother with me so I can show him a thing or two on how to tend to a plantation. Now we are just heading home to have something to eat and relax with the rest of the family. 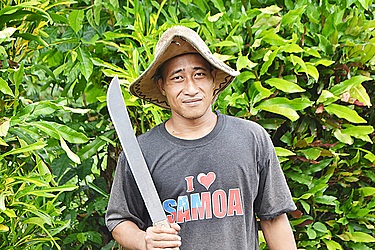 “I sometimes sell my taro at the market so I can earn a bit of money for the family. I can make about $300 a week but it does go a long way.